The historic building goes up in flames. 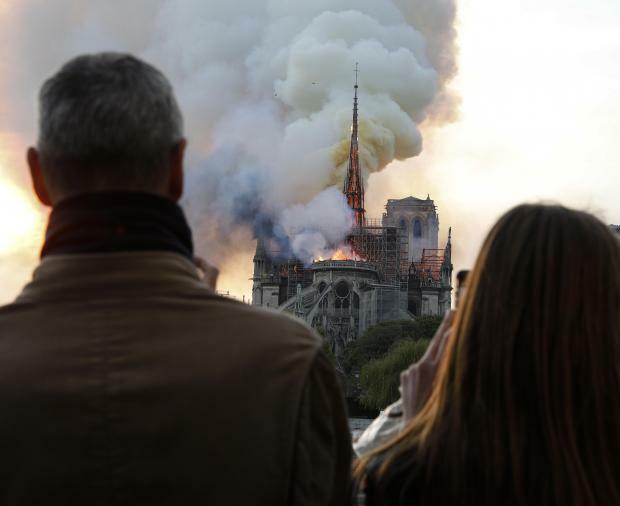 The Notre - Dame de Paris cathedral, devastated Monday by a fire, is an emblematic building of France and the most visited historical monument in Europe. Between 12 and 14 million people, an average of more than 30,000 per day, visit each year the masterpiece of Gothic architecture located on the Ile de la Cité, in the heart of medieval Paris. The construction of this church, begun in the mid-twelfth century, was spread over about 200 years. During the French Revolution, many acts of vandalism targetted the cathedral, which sees its dismounted arrow, its treasure plundered and the large statues of the destroyed portal. 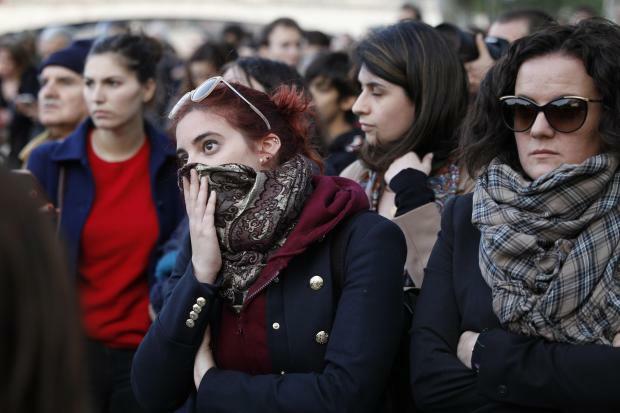 People react as they watch flames engulf the roof of the Notre-Dame de Paris Cathedral in the French capital Paris. The revolutionaries even organized a "Cult of Reason" on November 10, 1793, shortly before Catholic worship was banned in Paris. The cathedral was turned into a warehouse. Returned to the cult in 1802, it was the central character of a novel by Victor Hugo published in 1831. Shortly after, Eugène Viollet-le-Duc was responsible for its restoration. Notre-Dame was spared by the two world wars and its bells announced on 25 August 1944, the liberation of Paris. More recently, the nine giant bells of the cathedral were replaced in 2013. The spiral, which collapsed on Monday, was being renovated. Its walls celebrated the victory of the Second World War, the beginning of the rehabilitation process of Joan of Arc, the marriage of Henri de Navarre, future Henri IV with Marguerite de Valois, the coronation of Napoleon I and, more recently, funeral ceremonies in honor of Heads of State, such as Raymond Poincaré and General de Gaulle.